When we hear the word relationship we think of love or friendship but the reality is, there are several types of relationships; romantic, friends, family, work and customer relationships. Business is a people activity; everyone wants to do business with people they can trust. 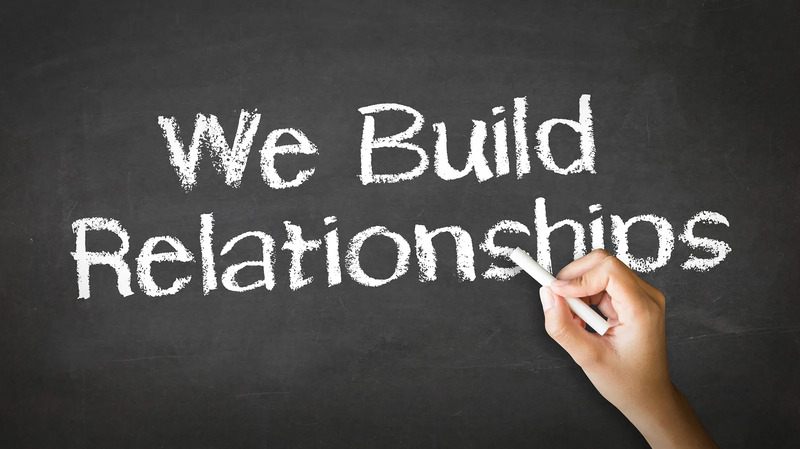 As we love our customers we have to build a lasting relationship with them. Without customers we would not exist. It was found that building a lasting relationship with your customers is the key to keep them satisfied and keeping their business. We all know that we have to communicate with our friends and family to keep them from feeling neglected, the same applies to customers. One has to stay in touch with them to maintain a connection. Give a call, an email, tweet or post on Facebook to build communication, ask about their experience with the product and tell them to be honest with their feedback. Their feedback it is important. Every interaction with a customer is a great opportunity to focus on building customer relationship, everything is built on relationships first be real, be yourself and be your best self. Be interesting in making it about them and not you. Be knowledgeable, know everything about them. Studies show that the greater the relationship with customers the more likely that they will tell their friends about your business, creating word of mouth marketing. Relationships are important but not easy. People say relationships can and should be managed but the reality is relationships can’t be managed. While customer relationship is different from a personal one but all relationships are personal. So any communication that you have with a customer make it personal as this will help in building a relationship with your customers. This will also help in them keeping their business with you. Printing may be seen as not that important in this day and age due to the vast changing world of technology and the growing world going digital. Somethings will not change; every office needs most of its documents in a printed form and requires branding effective communication. The same can also be said for many designers and other professionals that need their work in printed format. With them outstanding results is always the way to go. With OKI printers it is easy to achieve outstanding results with High Definition Colour with our unique collection of hardware and software technology. Together they produce outstanding colour printing perfectly. Specialists in business printing solutions and leader in colour printing, we can be trusted to deliver. With our over 20 years’ experience OKI printing solutions pioneered digital LED printing which delivers superior image quality, compared to laser printers. Our microfine High Definition Toner ensures documents are printed in superior print quality. Documents are sharper, crisper and glossier, even on an ordinary paper. The results are breath taking. The flat paper path offers best in class print speed and can handle heavy paper or long banners up to 1.2m in length- bringing media flexibility as well as reliability. Great colour starts with OKI Printing Solutions.